What started in version 1.5 with NewsBlur, Inoreader, AOL Reader and The Old Reader and more importantly a more streamlined internal architecture for adding new services, now bears its fruits with version 1.6 and even more services. 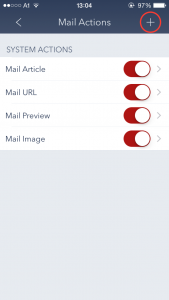 Newly supported in 1.6 are the selfhosted Tiny Tiny RSS and the read-it-later services Readability, Instapaper and Pocket. You can download Fiery Feeds on the App Store. Fiery Feeds 1.4 brings a couple of changes. 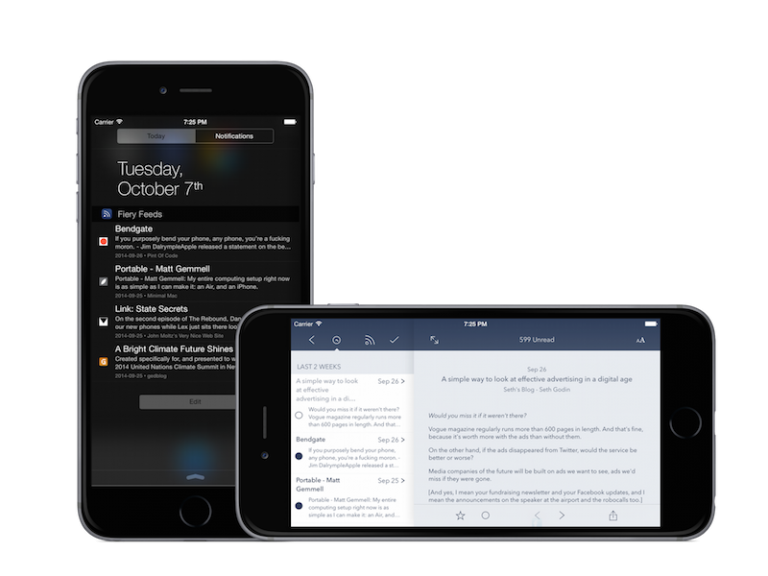 Full support for iOS 8 and iPhone 6 / 6 Plus, including a special landscape view on the 6 Plus and a Today Widget, so can you quickly see the newest articles. You can buy Fiery Feeds on the App Store. 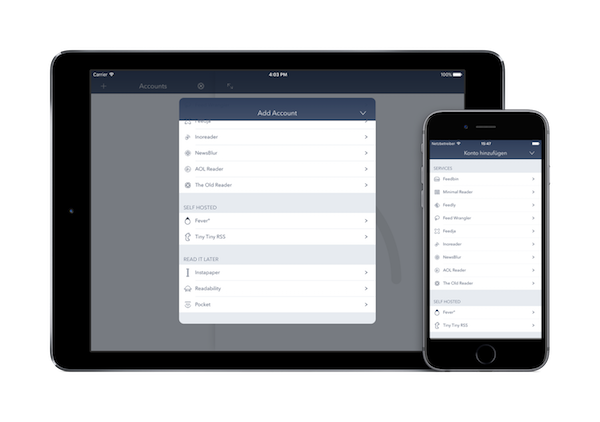 The second big change is that instead of a separate iPad and iPhone version, Fiery is now an universal app. If you bought the iPhone version, you can now install it on your iPad too. I’m going to update the old iPad version too, but it is no longer for sale. If you’ve previously purchased the iPad only version, you can download it under “Purchases” in the App Store. 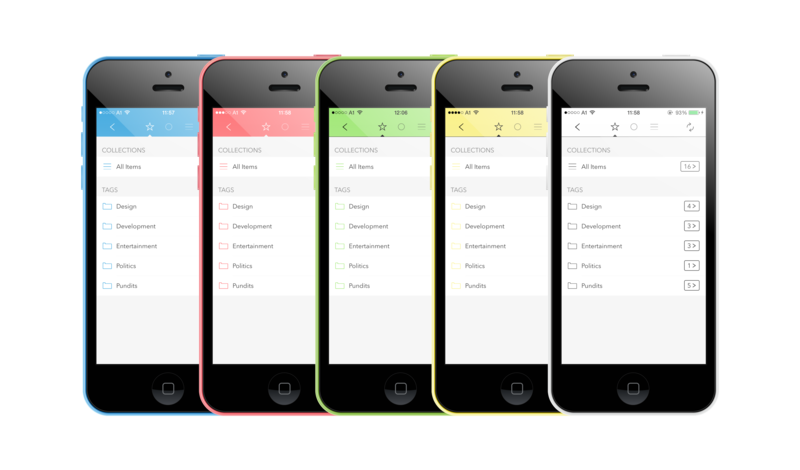 The Fiery Feed 1.3.1 update brings new themes, including a theme for every color the 5C is available in, and a new theme directory. 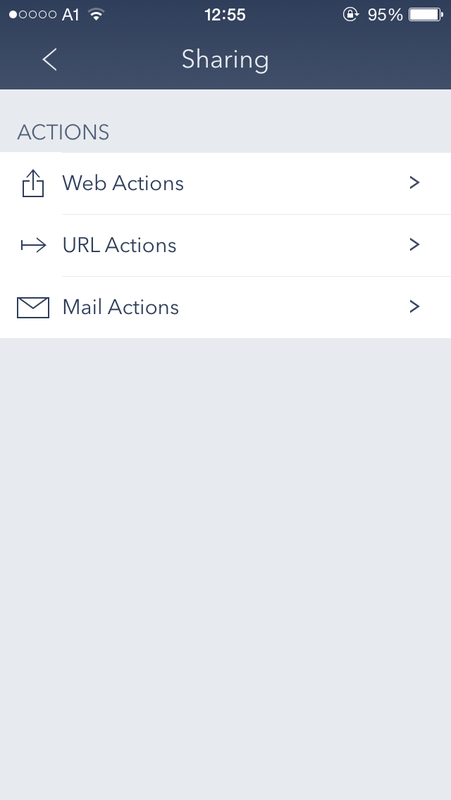 You can find the directory in the app under settings > themes > then tap the + button in the upper right corner. For those who like to tinker, it is also possible to install custom themes. 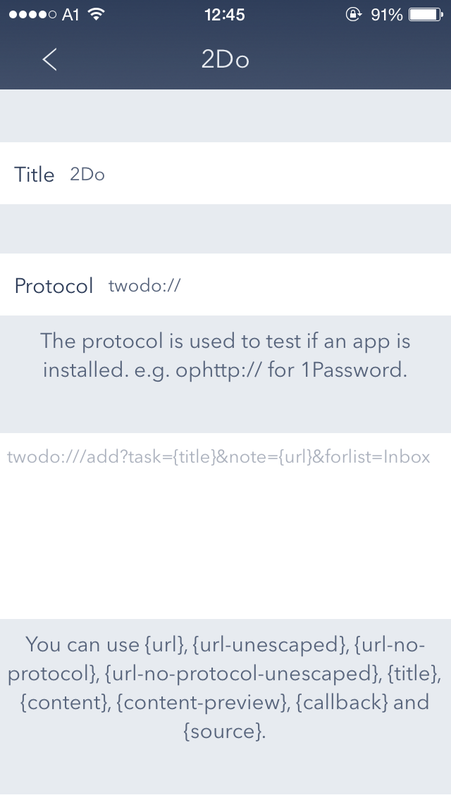 A theme file is a simple JSON file (see the White Theme as example) defining the colors that should be used in the app as hex strings. As an example, you can open this link on your device to install the sepia theme. 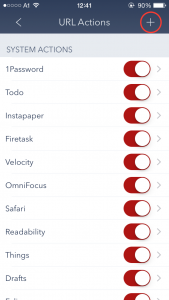 Fiery Feeds allows you to add custom URL schemes to share articles to other apps since version 1.3. 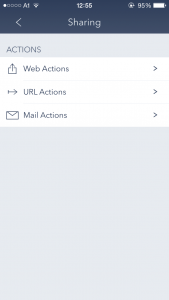 When you go to Settings > Sharing > URL Actions you’ll get a list of a predefined apps that support URL actions, but because I can’t add every app, you can also define your own by hitting the add button and define your own action. 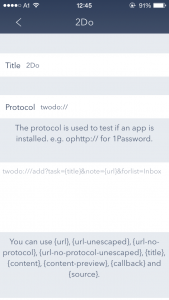 The protocol is used the check if a url of this sort could even be opened (if the requested app is installed); the actions is not displayed in the sharing sheet if this check fails. 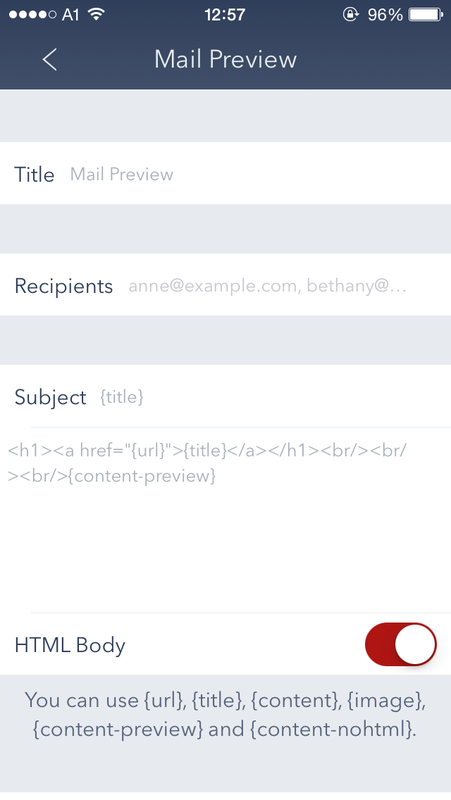 You can also define your own email templates, including recipients. 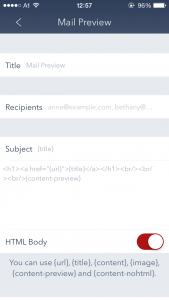 You could for example create a email template for OmniFocus’ Mail Drop. Fiery Feeds is a reader for power users and while I’ve tried to add an obvious way (e.g button) for every important action, there are a lot of gestures in Fiery. Some of them more discoverable, some less so. 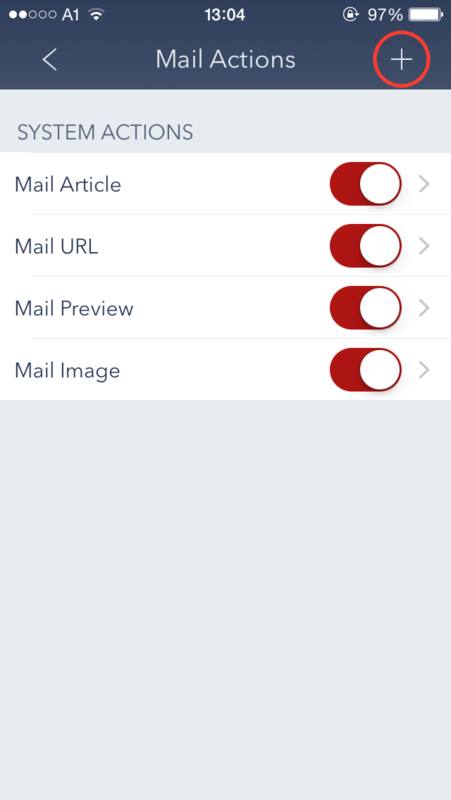 And since iOS 7 makes it easy to add new keyboard shortcuts I’ve also added a bunch of those in version 1.1.3. These only work when an external keyboard is connected to your iPhone or iPad.